At Patterns and Prosecco Interiors and Styling, home is where the journey begins. More than just the physical structure, our home is a reflection of who we are, our story. We carry & install a vast selection of in stock flooring solutions including laminate, hardwood, vinyl plank, carpet, tile, and linoleum. WW Design Studio is a boutique firm specializing in residential interiors with an emphasis on luxurious liveable spaces. From simple updates to freshen up your décor to more dramatic changes like kitchen and bathroom overhauls, we work closely with you to create a distinctive and personal space that not only functions well, but looks beautiful too. Phil Mateshaytis is an experienced architectural designer, founder & president of Method Architectural Designs. Phil brings 17 years of experience, boasting an international portfolio. Lush interiors is a Calgary based multiple award winning design studio that proudly partners with local and Canadian based suppliers and manufacturers. Their focus is residential and light commercial with an emphasis on sustainable design, functionality and creativity. Together their team of experts have over 30 years of design and renovation experience. Their best clients are busy professionals who eliminate the headaches and choose to save their own time and money by engaging a professional designer. They appreciate unique design and ideas that on their own, they would have never achieved. From their design studio in Lower Mount Royal they offer full service interior design and renovation services. This includes project management, space planning, custom millwork drawings, material selections, custom draperies and furnishings and artwork and accessory styling. Their extensive team includes Calgary’s foremost contractors, electricians, plumbers, painters, drapery specialists, upholsterers and other qualified professionals. Together, they provide a white glove turnkey service on time and on budget. This experience, along with a superior level of service is why they continue to win the Houzz Best in Service Award each year. Lisa and Charlene’s work has been published in the Calgary Herald, profiled on HGTV, has appeared on BT Calgary, and they have been sought out as design experts to speak at various industry events throughout the city. Lisa and Charlene are both founding members of the Calgary Design Group, which includes the city’s top design specialists. Together they share best business practices in order to maintain the highest level of integrity, service and value for all their design clients. 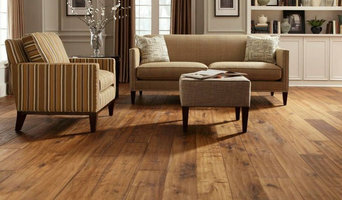 Riverbend Interiors Floors & Decor is a full service flooring, window fashion and design centre with the quality products, service and customer satisfaction you expect from an owner-operated retailer. Indo Designer Rugs is Calgary's largest retailer of hand-knotted area rugs in contemporary, transitional and traditional designs. We are ready to assist you in coordinating a size, colour and design that enhances your decor and suits your budget. We provide free delivery, 48 hour trial periods, and in-home consultation. We love working with interior designers, architects and residential clients. We're a proud supporter of GoodWeave.org, a global nonprofit organization working to end child labour. If you live outside of Calgary and would like to see more of our inventory, contact us and we'll send pictures of options in your size and style. L.A. Carpet & Tile Inc.
You are unique and we believe the spaces in your home should reflect YOUR lifestyle. Cozy carpet in the living room for family movie nights, or yoga practice taking place on quiet, natural, cork. Welcome to DWK Interiors - - 20-Time Award Winning Designs Decorator of the Year 2016-2017 Featured in: HGTV Canada, Elle Decor, Calgary Herald, Calgary Sun, Breakfast Television, CTV & Global Calgary, Arabella, Avenue Calgary ******** Owner & Director of Design, Katie Rioux is recognized as a top-rated Interior Decorator in her field. She has impressed numerous editors with her cutting edge designs, where she is often quoted in local publications such as the Calgary Sun & Calgary Herald. As the only Calgary Interior Decorator who has won in an International Dream Room Contest for six consecutive years, she has had the privilege of winning 20 Dream Room Awards judged by International Editors and publicly known designers. Not only has Katie been recognized in these International Dream Room contests every year, her outstanding work has been capable of winning over the hearts of her clients who include Business Professionals, Olympic Athletes, Entrepreneurs and many more. She is dedicated to bringing both beauty and a breath of fresh air into the spaces her clients call home. Following in her Mother's footsteps, Katie has a unique and natural eye for design, a remarkable decisive attitude and an enthusiastic approach that she incorporates into every unique project. Being one of the very few Decorating companies in Calgary who participates in every appointment, including all installations and deliveries, you will have that peace of mind that we are dedicated to your satisfaction and you will be taken care of with our very rare personal touch. Katie & her team is passionate about creating a room that you will love, which in turn will be a reflection of who you are both individually and as a family. We strive at making sure we are spot on with listening to your needs and wants so that your new space will function properly and eliminate any challenges you may be facing. We truly look forward to creating the one and only space for you! Calgary's Award Winning Interior Designer Best of Houzz 2015-2018! ANA Interiors is a full service boutique interior design and decorating firm that specializes in bringing out the full potential in any space. We are trend forward thinkers and are committed to providing you with the best service possible. We are interior stylists to home builders, developers and homeowners. Neelam Interiors is a full service interior design studio, specializing in customized, client focused design. We offer a process that is seamless, supportive and convenient for projects ranging from home decor to renovations. Neelam Gurm the creative behind Neelam Interiors offers an approach to interior design that is inspired, thoughtful and tailored to your needs. Narrowing the overwhelming world of interiors into manageable elements, that speak to your unique style. Neelam has received Best of Houzz 2019 for Service and Design. She has also been named a Houzz Influencer for her knowledge and advice, by the online design community of Houzz. Neelam has been featured in magazines and websites including Style at Home; Home Adore; Avenue Magazine; Real Simple Magazine; Western Living Magazine; The Glitter Guide, Style Me Pretty Living and Domino Magazine. From concept to completion, Accent on Design will stylishly transform your home according to your needs, desired functionality and the way you want it to feel. Here at Paisley & Tweed Interior Design, we believe that we are in the business of helping you create a home you love and that brings comfort to you, your family and your friends. We are a full-service interior design firm that specializes in helping homeowners design, renovate and furnishing their spaces. With specialties in small space design and construction, our designers bring a well rounded, unique skill set to your next home improvement project. From selecting the perfect paint colour to overseeing your entire renovation, the Interior Design Shoppe can save you time and alleviate the stress of your home decor or renovation project. 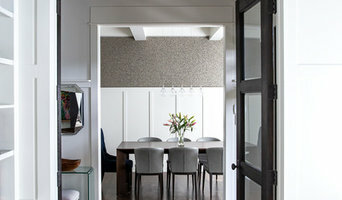 When called upon, Shelley's purpose is to create a functional and inviting space for any home. From sewing custom bedding to home renovations, Shelley will make your design dreams a reality. 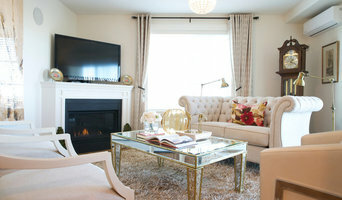 Calgary Award-Winning Interior Decor & Design Studio Best of Houzz! Katie brings a creative eye; decisive attitude and enthusiastic approach to each project, ensuring her client’s homes are a reflection of who they are both individually and as a family. Michelle Whaley Design is a full service interior decorating firm specializing in residential interiors throughout Calgary, Alberta. I believe in enduring style and spaces that are highly personal. Through my signature design approach I develop a comprehensive, bespoke plan suited to each individual project resulting in comfortable, luxurious spaces reflective of my clients' tastes, interests and lifestyle. Design services include: Space planning | Sourcing of furniture | Fabrication of custom furniture | Custom window treatments | Selection of art, mirrors, lighting, rugs and accessories | Paint and finish selections. Michelle Whaley Design is a full service interior decorating firm specializing in residential interiors throughout Calgary, Alberta. I believe in enduring style and spaces that are highly personal. Kim, principal owner-designer at Creative Home Decorating, has the ability to take the simplest of décor ingredients and mix and match them with stunning results. Established in 2004, Accent on Design is a boutique interior design firm specializing in a full suite of services for the residential market in Calgary and surrounding areas. Room makeovers. Kitchen and bathroom design. Window treatments. Space planning. Home staging. Furniture, materials and fixture selection. Colour consulting and accessorizing. From concept through to project management and realization, Accent on Design will stylishly transform your home according to your needs, desired functionality and the way you want to feel. Accent on Design owner Adene Lucas is an award-winning designer with a time-tested talent for consistently creating inspired living spaces that are as unique as her clients and the lives they lead. Certified by the Canadian ReDesigners Association and a graduate of Mount Royal University’s Residential Interior Decorating and Floral Design programs, Adene meets every design challenge with passion, creativity and a genuine devotion to exceeding expectations and delighting her customers. Teaching in the Interior Decorating program at Bow Valley College, part time and instructor for the Mount Royal University design and decorating programs. Our brand promise is rooted in design, quality and expertise and we strive to deliver the utmost flooring experience to each and every client and project. We are Western Canada's Timberhome interior Designers. We do city, country and vacation properties. We work with clients from all over the world and give them peace of mind by making the design process easy, engaging and collaborative. 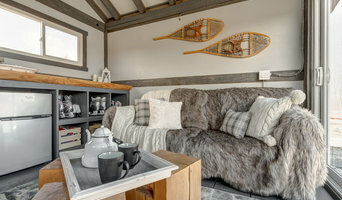 With a varied portfolio of timberframe, cabin, and lodge projects , we are uniquely positioned to understand the challenges and opportunities which these structures offer, whether they be contemporary, traditional, or rustic in style. This enables us to collaborate seamlessly with you, your general contractor, and log or timber provider to create memorable and meaningful spaces, perfectly attuned to your needs Contact us today to find out how we can add value to your city, country or vacation home that reflects you, your tastes and is complimentary to the architectural style and context. Alberta Premier Full Service Interior Designer – 2X Best of Houzz! Brenda brings a passion to the integration of architectural features, millwork, and custom designed furniture to create environments that reflect each clients' unique personality and lifestyle. Since 2007 Laurie McBain of Kaleidoscope Design Inc and Chris Salas of Cocina Interior Design Ltd have been forming a partnership in A Collaborative Design Group. Together Chris and Laurie specialize in luxury and estate homes in the Calgary area. When working on projects they conceive the overall concepts together. Chris' area of expertise lies in the technical drafting and design of cabinetry and overall interior design details, Laurie specializes in the finish selections, working with the trades on site and focusing on the finishing details. Combined, A Collaborative Design Group brings over 40 years of hands on design & trade experience. The gallery you'll see on Houzz show projects completed by Kaleidoscope Design Inc, Cocina Interior Design or 'A Collaboration Design Group'. Contempa Carpet Company is a family-owned business that has been providing award-winning service to retail clients, designers, and Calgary’s leading home builders and renovators for over 40 years. Reena Sotropa In House Design Group specializes in the planning, design and decoration of high end residential projects throughout Western Canada. Their interiors are described as youthful but elegant, glamorous yet comfortable. Clients seek them out because they are known for designing homes with the rigors of family life in mind without compromising their signature charm and hallmark style. Our goal is to provide you with quality carpet products that will beautify your home, meet your specific performance and budget needs, be easy to care for, and stand the test time! We're Calgary's largest retailer of area rugs in modern, traditional and transitional designs, located on trendy uptown 17th Ave SW for the past 29 years. Jacqui Loucks Interior Concepts is an interior design company capable of creating interior design solutions that are functionally and aesthetically attractive. In a client focused, non-templated process Jacqui Loucks Interior Concepts will systematically select and create design solutions to suit the client’s needs within defined schedules and budget perimeters. While integrating the creative design process with the solid understanding of construction terminology and building code knowledge, Jacqui Loucks Interiors is able to efficiently execute and complete the design goals and tasks determined by the client. From simple updates to more dramatic changes like kitchen & bathroom overhauls, we work closely with you to create a distinctive & personal space that not only functions well, but looks beautiful too.